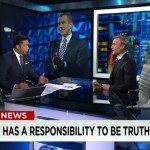 Dan joined CNN’s Brian Stelter on ‘Reliable Sources’, Sunday, June 21st to discuss the repercussions of Brian Williams’ new job handling breaking news on MSNBC. Dan commented, “As a practical matter, I think it’s a really smart move, for them to have a big name, a big face, who does this stuff really well, leading breaking news coverage, which MSNBC really needs to start doing.” Watch the full episode here. While this site is not a traffic driven site, it is still fun to occasionally look back at which stories are the most clicked and read. Since this site also isn’t promoted much, the top stories are attributable primarily to Google search traffic. We went back and looked at the top trafficked stories for the past four months (Jan. 1 to April 30) and there were definitely some surprises. The number one story was a, umm, well, it’s just a post about a funny looking frightened child. Yup, that’s it. This should, in and of itself, remind us all that the internet rewards the wacky in a big way. 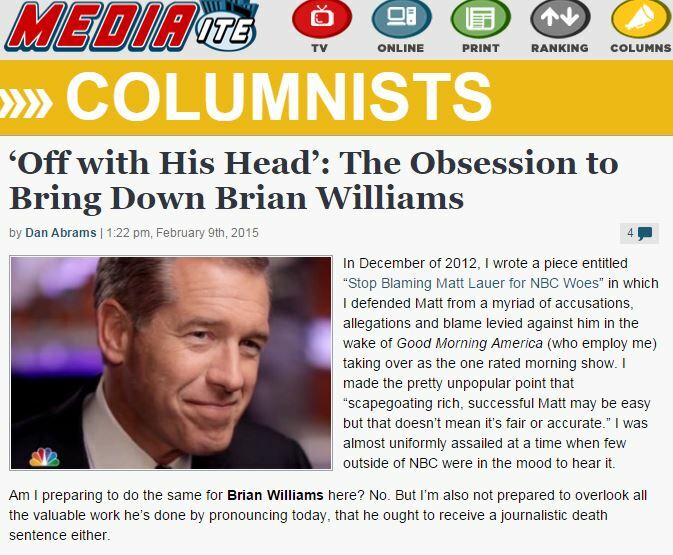 Brian Williams was a huge topic and this post Dan wrote, got an enormous amount of attention on Mediate and elsewhere. Same thing with this post on actress Kelly Rutherford’s fight to get her kids back. Dan has taken the lead on that story and it was reflected in the amount of traffic the story received on this site. ​I can’t really explain why this story about Dan’s coverage of a lawsuit by ​an American Idol winner came out at number four except that maybe this was the best legal analysis of a case which only received limited attention? Finally, its worth noting that a close sixth was our piece on Dan’s coverage ​of the Amanda Knox case. Dan wrote a piece for Mediaite.com about the recent drama in the media world and the media’s obsession with itself. 2015 has already proven to be a tumultuous year so far for those in the media business. 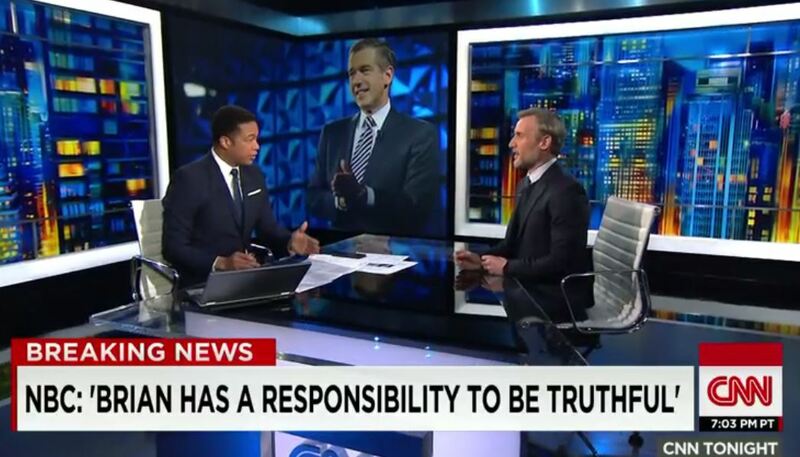 In less than two months the television and news world has been turned upside down between Brian Williams’ “fall from grace” to the sudden deaths of David Carr and Bob Simon, as well as Jon Stewart leaving The Daily Show. While these events did have some major impact and repercussions, Dan notes the amount of media coverage devoted to such topics that probably wouldn’t have occurred had these individuals not worked in media. Dan asks, “If Carr had been a pioneering finance writer or art critic would he have received anywhere near this amount of mainstream media coverage? Of course not.” He also adds an interesting call- out, “Us media types often take issue with political figures, business leaders and even entertainment titans who view the world through a narrow, self-centered prism. Yet who is there to call us out when we are guilty of the same crime?” Read the full piece here. 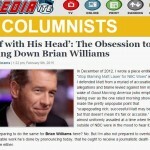 Dan wrote an article for Mediaite.com on the recent media revolving around NBC’s Brian Williams. Williams is under fire for allegedly reporting false statements and fabricating important details while reporting on a variety of stories during his time at NBC’s Nightly News. While Dan is not defending Williams, he does make a point not to disregard all of the positive work he has done in the past. 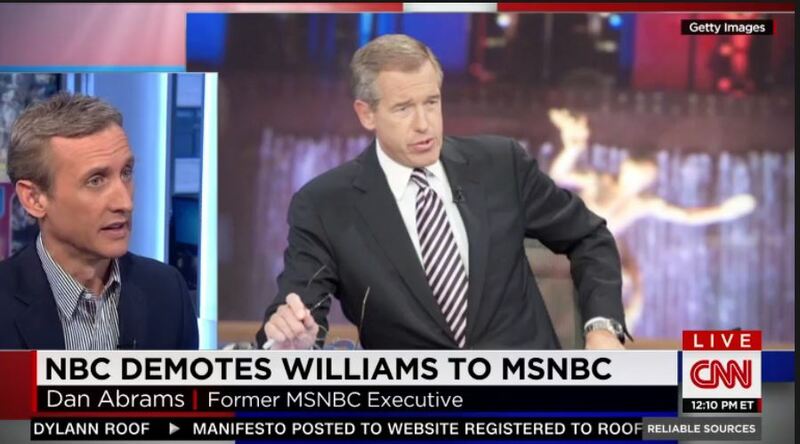 Dan states, “The problem for Brian is that unlike an opinionated cable news host who might have an army of like-minded supporters prepared to fight the social media war, a network news anchor’s support these days is inevitably going to be far less passionate, even for Brian. They may like and appreciate him but few are going to be prepared to do “battle” for him.” Read the full piece here.